This article was adapted from Shareable’s latest book, “Sharing Cities: Activating the Urban Commons.” Download your free pdf copy today. Anna Bergren Miller: Community Land Trusts (CLTs) are nonprofit entities dedicated to maintaining community control of real property outside conventional, speculative land and housing markets. Though they may serve other ends — including the stewardship of green space or agricultural land — CLTs are typically designed around the provision of permanently affordable housing for low-income individuals and families. The features of CLTs vary by country. However, many are patterned after the original United States model and have the following features in common. The central feature is that CLTs separate ownership of land and houses. CLT’s allow residents to buy a house while securing a long-term lease on the underlying land from the CLT. 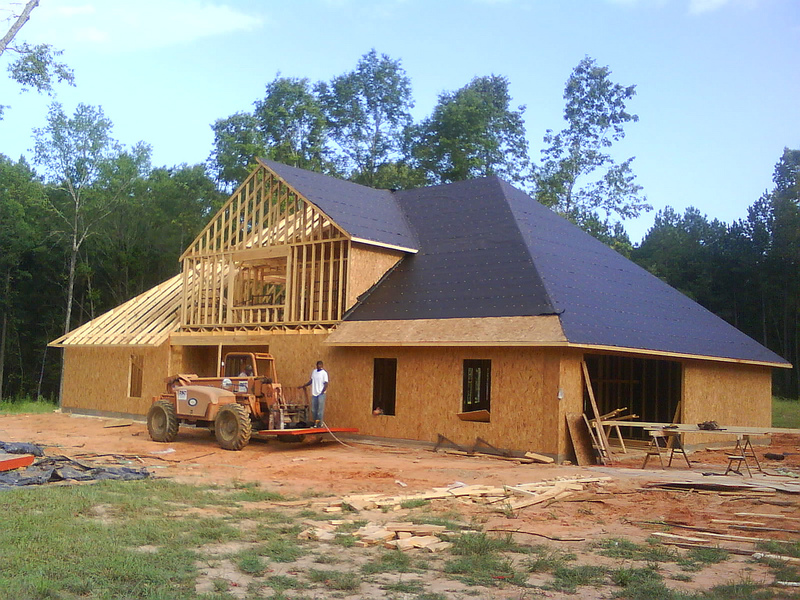 While the trust is typically organized as a nonprofit steered by a board of directors comprised of CLT homeowners, area residents, and other stakeholders, it maintains permanent ownership of the land while the homeowner owns the house and any improvements to it. Resale of the house is restricted to CLT-approved buyers. In addition to the principal investment and the value of improvements, the house seller recoups a limited portion of the house’s appreciation on terms contracted in advance with the CLT. This setup protects CLT housing from appreciation typical of housing markets to ensure at least some permanently affordable housing for the community. The CLT concept was developed by Robert Swann, who was in turn inspired by Ralph Borsodi. Swann and Borsodi shared an interest in the Indian “Gramdan,” or village gift movement. Other historical precursors including Native American land-use practices and the New England commons. In partnership with Slater King, Martin Luther King Jr.’s cousin, Swann established the first CLT in the U.S. in Albany, Georgia. New Communities Inc. was explicitly modeled on the Jewish National Fund’s Israel land-lease policy. Although growing, the worldwide CLT movement remains relatively small. Nonetheless, a 2011 survey identified nearly 250 CLTs in the U.S. alone. CLTs are also active in several other countries including Belgium, France, Italy, Kenya, Australia, New Zealand, and England. Vermont’s (CHT) is the largest CLT in the United States. Founded in 1984 as two separate nonprofit organizations that merged in 2006, CHT operates in three counties and oversees 565 owner occupied homes plus 2,200 rental apartments. The trust offers other services — including homeowner education, home improvement and energy efficiency loans, and assistance — to five housing cooperatives. CHT’s shared equity program sells homes on trust-owned land to prospective homeowners who meet certain income and asset requirements. Homebuyers pay closing costs of $6,000-8,000, but the down payment (20-30 percent of market value) is covered by state and federal grants. Upon resale, CHT homeowners receive their original contribution plus 25 percent of any appreciation. In 2015, 44 new CHT residents purchased homes at an average CHT net price of $137,214, for an average CHT monthly cost of $994.78. Because CLTs are effective in expanding affordable housing, cities are increasingly supporting them in various ways, including policy. View a report on CLT policies here.